One pastel blossom tree, what will your look like?Let your imagination play and see a inner land of pastel play the possibilities are endless. Draw lines as shown and rub in as well. Now draw grass as shown with a light green and dark green. Scribble a suggestion on yellow for daffodils. Then add orange foe more depth. Glue onto picture and let it dry. 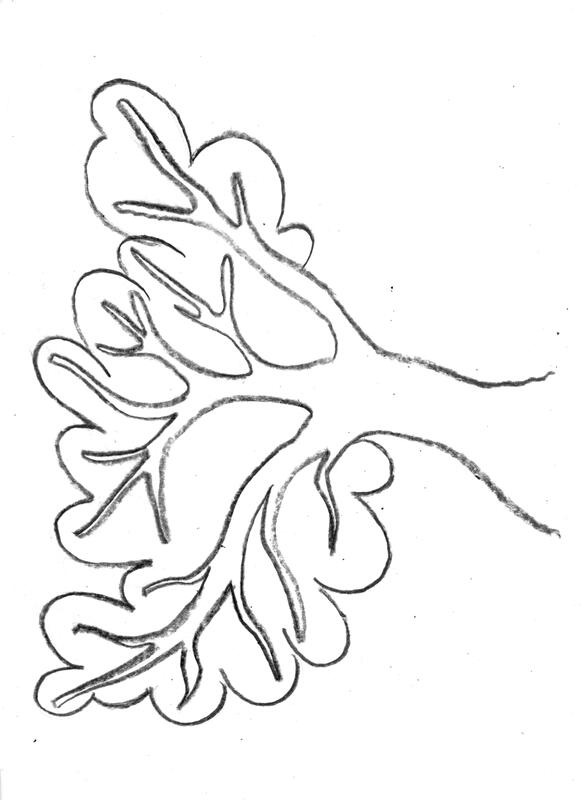 Colour trunk in as shown. With a dark and light brown to show where the sun is falling in your picture. I then added a darker brown and rub it in for more contrast of light and dark. 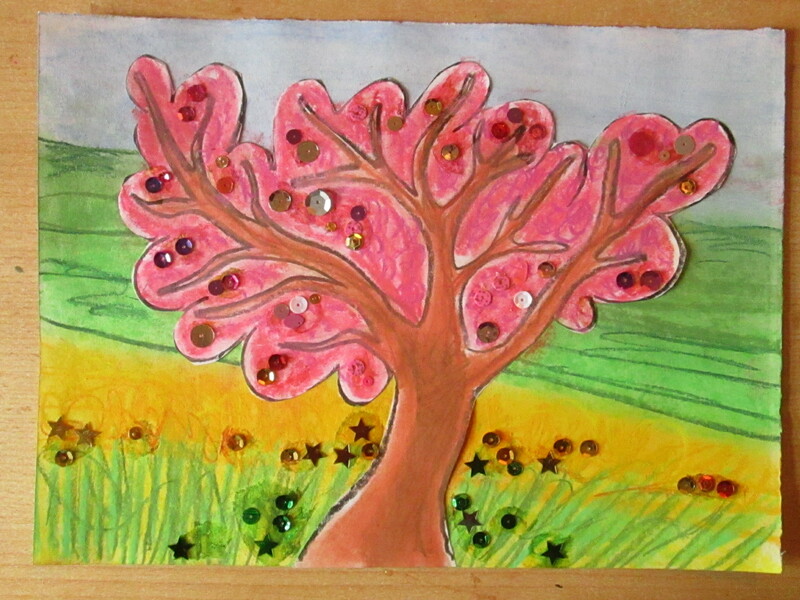 Colour in the blossom tree with pink. Add some white to soften and show light. Then ad small random marks in a deeper pink as shown. A few more lines in green for feilds. Blossom tree cut out, click on image then right click and save as to download for printing.